You are evaluating a 63-year-old female with a complaint of abdominal pain radiating to her back. She has diminished appetite and pruritus. Her past history is significant for a 40-year history of tobacco use. She has three glasses of wine once a week. The patient is afebrile, with blood pressure of 123/85, and her heart rate is 74. She appears jaundiced, with scleral icterus. Her abdomen is tender to palpation in the epigastric region, and her liver is palpable 2 cm below the right costal margin. Laboratory tests reveal total bilirubin of 6.0. direct bilirubin of 4.8, alkaline phosphatase of 1000, and AST is 42, with and ALT of 40. Which of the following initial diagnostic test will you order? 447) A 54 year old caucasian man is seen in your office for initial visit examination. He recently moved from Texas to your town and would like to establish care with you. He has no significant past medical problems except for Gastro-Esophageal Reflux Disease for twenty years. He previously suffered hearburn symptoms that were controlled with over the counter ranitidine . Later, his symptoms became refractory and he was started on omeprazole by his previous physician. He currently takes 20 mg of Omeprazole and is very happy that he has been asymptomatic for the past 1 year. He has had colonoscopy 2 years ago and this was normal. His father died of Colon cancer at the age of 70. He does not smoke. Which of the following is the most appropriate action at this time ? A) Instruct him to continue Omeprazole and follow up in 1 year. 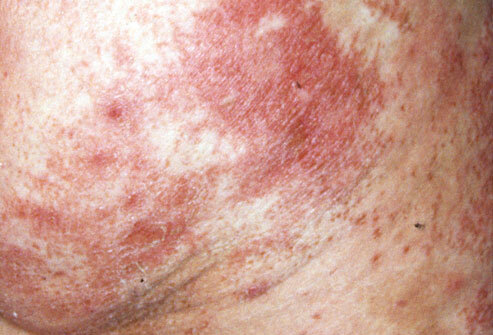 Which of the following is most helpful in diagnosing this condition? In addition to starting anticoagulation, which of the following should be performed next? Which of the following is indicated in this patient at this time? 380) Which of the following is the most appropriate next step? 378) A 34 year old caucasian woman comes for re-evaluation of her chronic epigastric pain and burning. She feels bloated and full even after eating small amounts of food. She denies any chest pain or shortness of breath. She failed several courses of treatment with h2-blockers and proton pump inhibitiors. She has had two endoscopies in the past which were normal, most recent endoscopy was three months ago. There was no evidence of gastric stasis on endoscopies after overnight fast. She was tested for H.pylori infection in the past and was negative. She denies dysphagia, weightloss, nausea, vomiting, dark colored stools or rectal bleeding. There is no family history of gastric malignancy. She does not smoke or drink alcohol. A ultrasound of the abdomen did not reveal any evidence of gall stones. Amylase and Lipase levels have been normal on several occassions. She has been anxious and unable to sleep at night. On examination, she is slightly under-weight for her age. Abdominal examination does not reveal any tenderness or palpable masses. Stool guaiac is negative. A complete blood count as well as comprehensive metabolic panel are normal. Which of the following is the most appropriate next step?